Deepcool has been a leader in thermal solutions for years. They started primarily with server cooling and moved into desktop solutions. most of you that aren’t familiar with them, soon will be. Based in Bejing, China, they have spent the last decade or so, expanding into global markets. In the last several years, Deepcool has even diversified into Fans, Power Supplies, Computer Cases and even the AIO (All In One) CPU Liquid Cooling market. The Gamer Storm line of products includes both a Maelstrom line of AIO coolers and the brand new Captain line. The Captain line includes three entries. All of them are based on the Deepcool GF series 120mm fans. The line includes a 120mm (single fan), a 240mm (dual fan), and a monster 360mm (triple fan) AIO coolers. 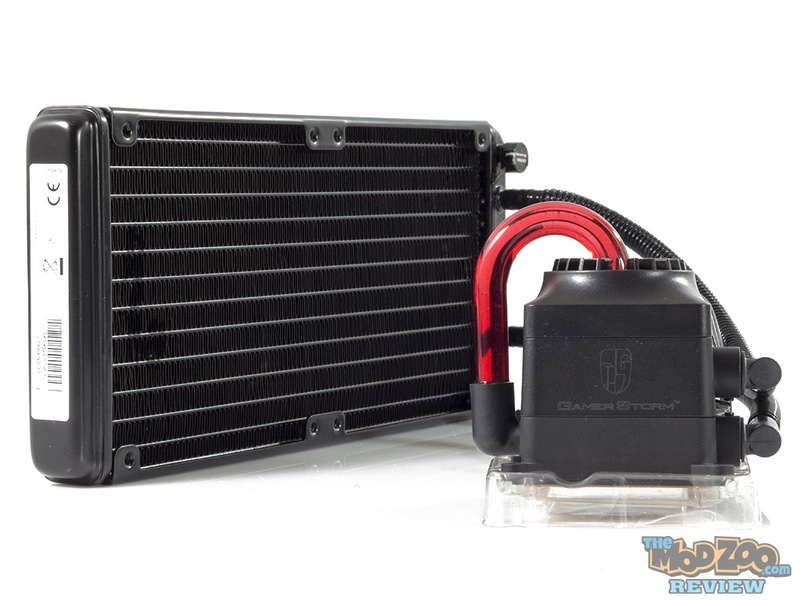 Today we are going to look at the 240mm model, the Deepcool Gamer Storm Captain 240. Coming up next ….. Page 2: Product Showcase. That’s pretty slick even though the performance is a little down. I’ve had a few AIO’s and they are pretty bland looking, maybe this will be a wake up call to other manufacturers that we’d like a bit of show with our go. Though, you’d think that would be obvious by now.